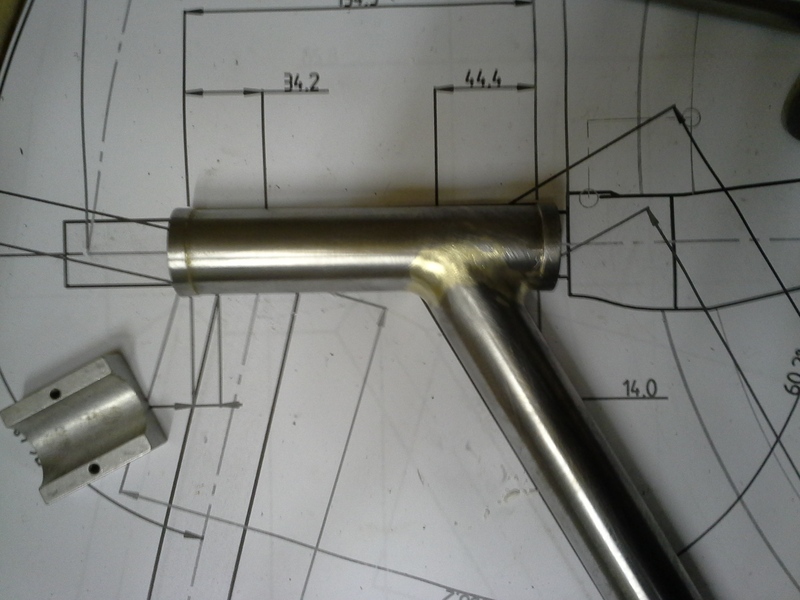 Right now it’s time to do the most important joint, head tube down tube. The angle has been check on both the angle and on the drawing. 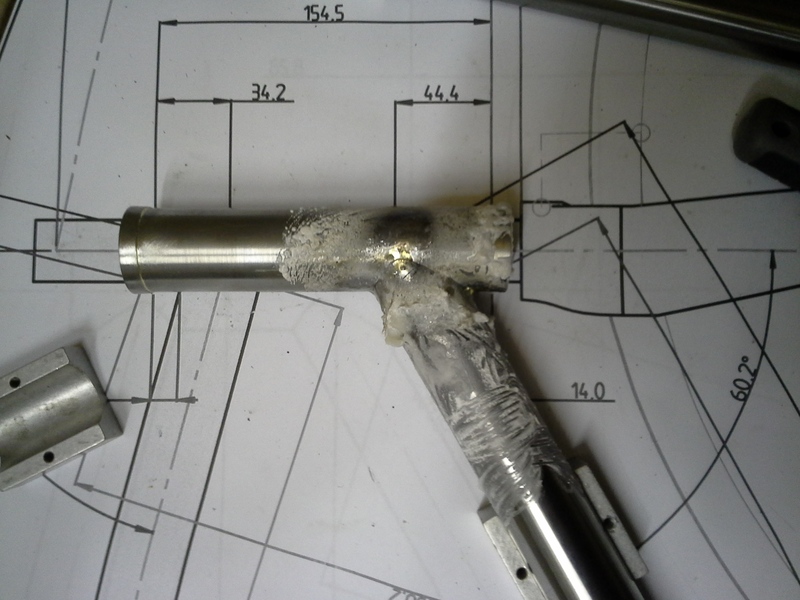 Then you need to set up the joint and weight it and flux it. Then 4 tacks at 12,3,6,9 o’clock. then warm the whole joint to stop warping then wet the joint and check the angle again. Then finish the joint from 8-4o’clock and 10 to 2 o’clock, then 8 to 10 o’clock and 4 to 2 o’clock. you can add a little more filletto the joitn to pull it slightly in that directon until you can see its spot on angle. Then stick in hot water for 30 mins scrub the flux off and tidy up. 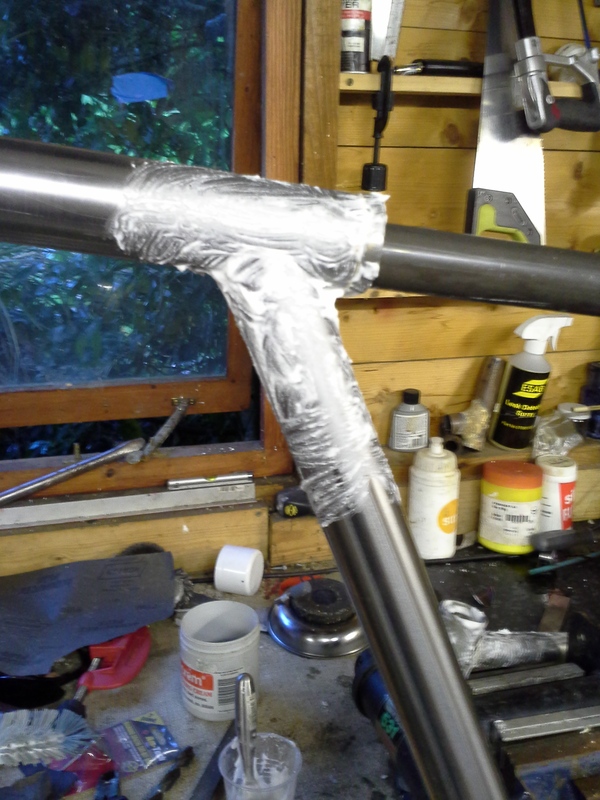 The next joint is the bottom bracket down tube. 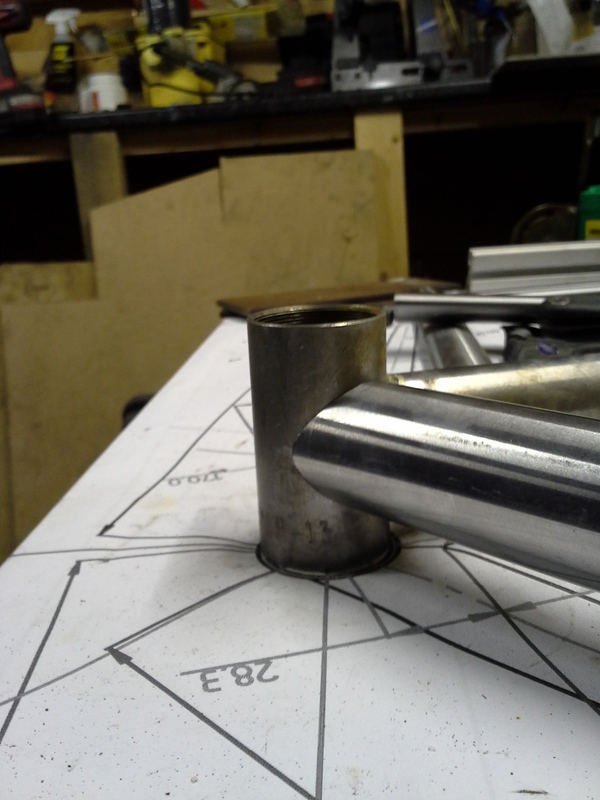 This is a 2 way mitre one longitudinally across the bottom bracket shell. 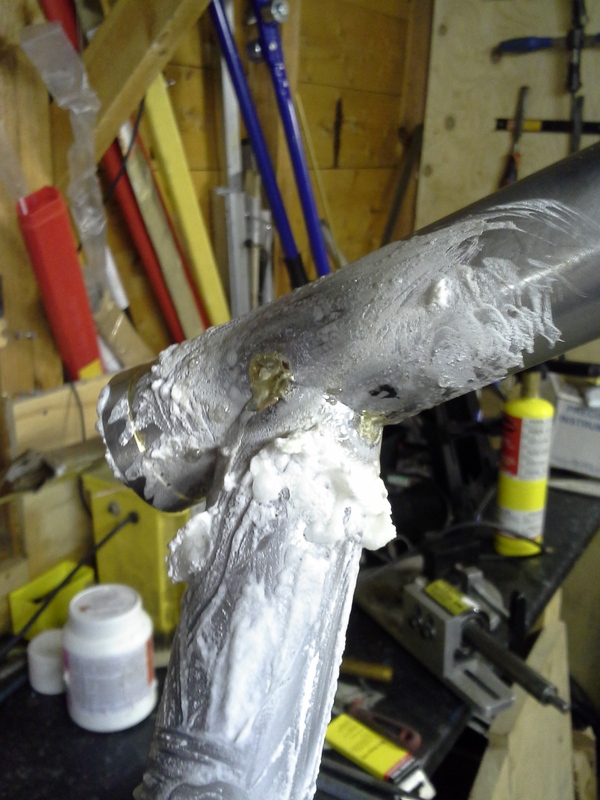 The other is where to the down tube meets the seat tube. Time to take a brake. line up and tacking next time.